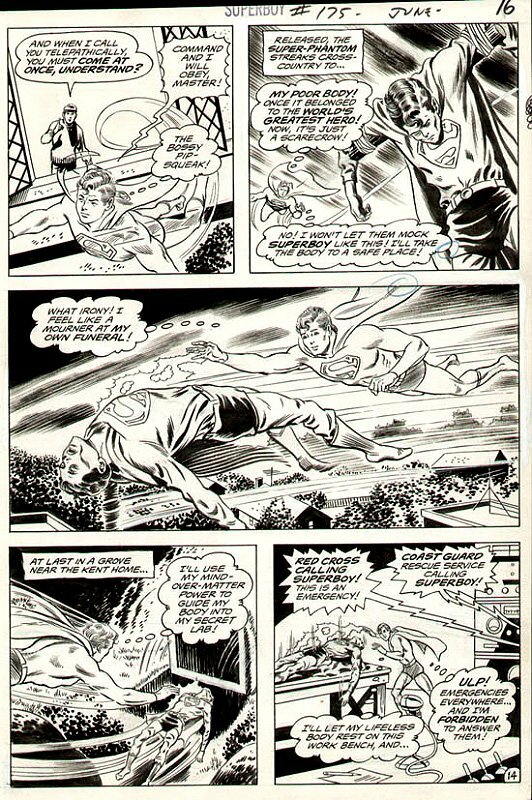 VERY nice 1971 Superboy page with Superboy following his dead body! This is the COVER SCENE! Page has FINISHED pencils and FULL inks by the great MURPHY ANDERSON! COOL!